Members of the Hibiscus genus can be either half hardy annuals or half hardy perennials. They are tall plants that range from 45 cm to 2.4 m (18 inches to 8 feet) in height, and this makes them ideal for use in borders, containers, or even as an hedging plant. 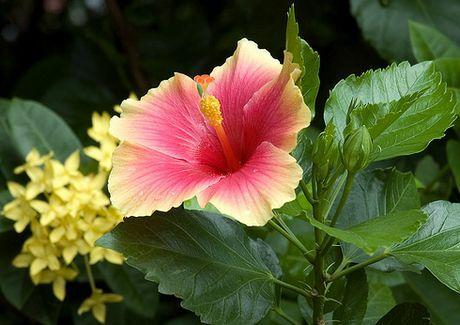 Some of the commonly grown species of Hibiscus include Rose mallow, Roselle, Goodnight at noon, China Rose, Shoe Flower, Flower of the hour, and Swamp mallow. Common Names: Hibiscus, Flor de Jamaica, Sorrel, Rosemallow, China Rose, Rose of Sharon, Kenaf, Roselle. Height: 20 to 120 inches (50 to 300 cm). Native: Worldwide: tropical to warm temperate regions. Growing Region: Zones 3 to 10. As a perennial in zones 5 to 10. Flowers: Summer until first frost. Flower Details: Yellow, red, purple, white, pink, orange. Colours can change with age. Trumpets. At least five petals. Foliage: Ovate. Lanceolate. Toothed. Lobed. Sow Outside: Surface. Following last frost. Spacing 12 to 50 inches (30 to 130 cm). Sow Inside: Soak chipped seeds for one hour. Germination time: ten days to one month. Temperature 70 to 80°F (21 to 27°C). Seven or eight weeks before expected last frost. Transplant outdoors following the last frost or in autumn. Requirements: Full sunlight or light shade. Rich soil. Moist soil. Regular watering. 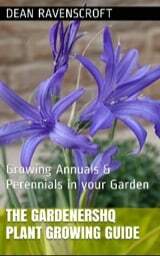 Prune perennials for shape after flowering. Propagate: dividing in spring. If you want to grow Hibiscus outdoors from seed then they should be sown on the surface following the last frost of spring. 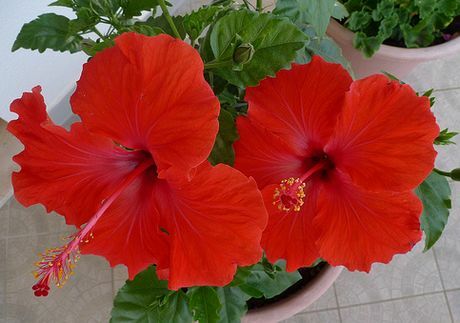 Hibiscus should be grown in a sunny or partially shaded part of the garden that has a rich moist soil. The time to sow Hibiscus seeds indoors depends on if they are annuals or perennials: sow annuals about two months before the last frost of spring is expected and perennials about three months beforehand. You will first need to chip the seeds and soak in hot water for about an hour. The seeds should then be sown on the surface, and will take about two weeks to a month to germinate at 21 to 25 degrees Centigrade. the Hibiscus plants should then be put in the garden following the last frost of spring at a spacing of 40 cm (16 inches; small Hibiscus species) or 60 to 120 cm (2 to 4 feet; large Hibiscus varieties). Once growing water Hibiscus regularly. Once flowering has finished give the Hibiscus plant a light pruning. If you require to grow more Hibiscus plants in the garden then divide the plants in the spring or allow then to self seed.